People offer to take care of her when we travel but she usually comes with us. She traveled for two months with us last year. We did a 10,000 mile cross country road trip and she couldn't have been a better traveler. This year she has started swimming when we take her to the beach. I had to wait until I was 50 to get my first dog and I could not imagine life without him. He is so much part of our family and even though my husband was less keen to start with, he won't go on a holiday without him now! 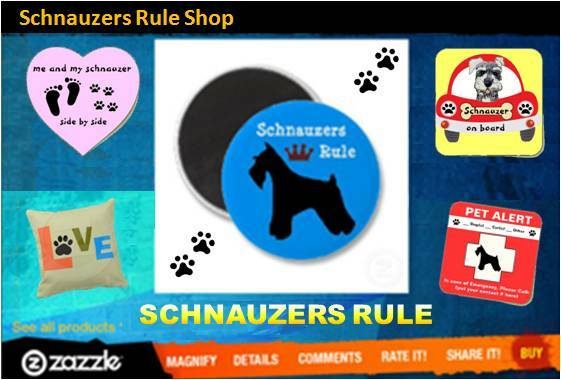 Schnauzers are gentle, funny and devoted companions. They are the most lovable animals I have lots of stores about my Heidi who would sleep under the covers in the crook of my legs when I had my BAD migraines never moved my family had to pick her up to potty and when she came in she would sit at the closed door to come back to me. WHAT a comfort to me. So glad you're happy with your little Schnauzer. They really are a most wonderful breed. I wouldn't be without my two. Thank you for sharing your experience! 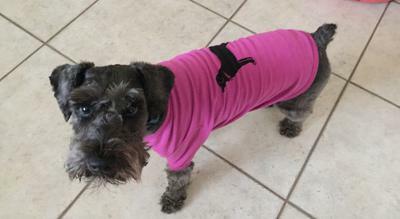 I have always had dogs but Evie is our first Schnauzer. They are the best.